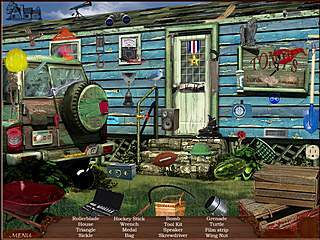 Renovate & Relocate: Boston - is a new release to the hidden object genre from Reel Ten. The game is all about design and renovations. There should have been more renovation-themed games since it is directly connected with what you are doing in the games of this genre, right? Searching for items and taking them off the scenes is an inevitable part of any renovation, but I guess sticking to stories like that would kill the genre. You are to play as a young woman named Olivia. She decides to get into interior design and renovation business after she had to do some renovation in her new penthouse suite. In order to enjoy this game you need to be interested in either design or hidden object searches, because that is what you are going to be busy with most of the time. So for the fans of adventure and interaction this might be a bit of a disappointment. Some parts of the story may just sound odd to you. Like buying a penthouse suite full of junk scattered all over the place. Doesn't make lots of sence, does it? Or what about the contractor that you hire? He gets injured and you end up cleaning his office. It just doesn't seem too realistic. I know it's all fictional and isn't the most important part of the game, but still. 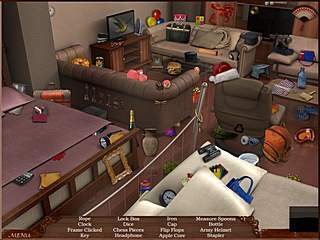 The hidden object searches get you find everything on a list given to you. You are not limited in time, and the hints seem to refill as many times as you need. The items you are asked to find are a bit not related to both the story and a scene. The designing part of the game is kind of fun. You get to choose from a variety of flooring, wall paint, cabinetry and appliances. You choices are limited though (only 3 choices of each item you decorate). There are also other places to visit, like the contractor's office and a furniture store which have their own hidden object challenges and rewards of new furniture and decor items to add to your portfolio. The play time of the game is pretty short, but it also depends on how much experience you have in HOGs. The game might be better for the beginners, rather than for the seasoned players. This is Renovate Relocate Boston review. Download this game here.